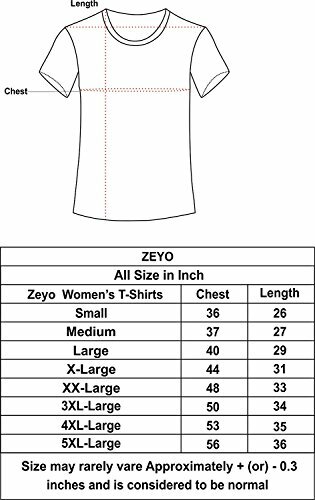 At ZEYO, We think long and hard (so you don’t have to) about the foundational pieces everyone needs in their closet. Then, we design the best version of these pieces with attention to fit, fabric, and feminine design. We make every effort to ensure the quality of our products. 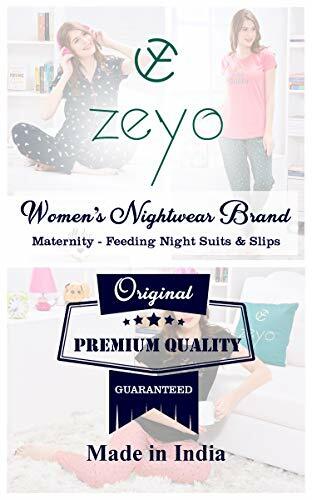 Be it a Sleepover, breastfeeding time, a Day Time Nap or Bedtime Wear, a Comfortable Outfit is integral to ensure a GOOD NIGHT Sleep. 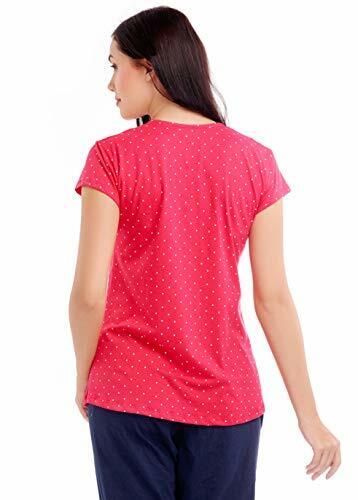 Made up of the last longer, look thinner and feel lighter cotton. We pay great attention to detail when designing this feeding top to ensure maximum durability. The invisible opening also makes this Tshirt perfect for nursing your newborn because you can easily open and close it to suit your needs, which makes breastfeeding not awkward. Lastly, we don’t mistake fashion for function. This T-shirt is stylish in design, but we have not forgotten the true intended purpose of a feeding tops. So our Nursing Top not compromise function in the name of Fashion. ZEYO pride itself on offering on-trend style catering to the young generation, that won’t break the bank. If you have any question please contact us, we will put our 100% effort to solve and handle your questions. Highly Comfortable : Kindly check SIZE CHART in 5th product Image before placing Order. HORIZONTAL ZIPPER – This soft Nursing Tshirt features a 2 side Horizontal Zipper for easy baby feeding. 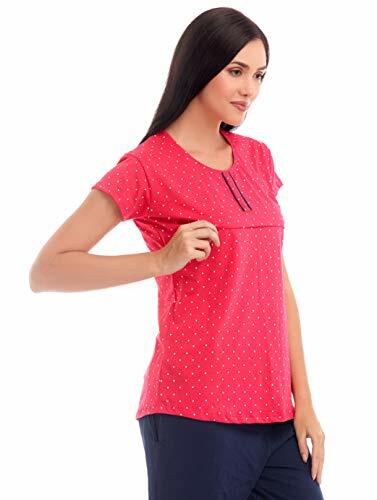 This great feature is also convenient as a maternity nursing top because you can easily open and close it to suit your sleepwear needs and also a great top for Home wear use. OCCASION: One of the best Gifts for Baby Shower. 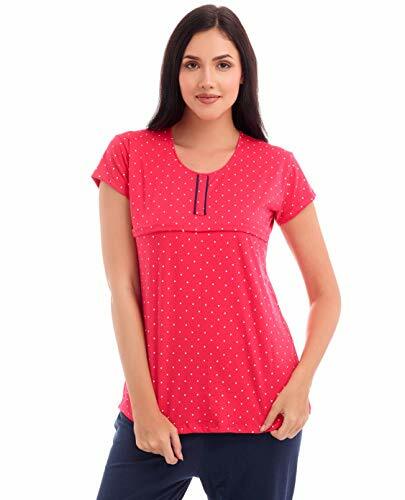 A pajama setTshirt is one of those warm familiar timeless products that is always appreciated as a gift – which is why it makes the petty gift to the new mom, pregnant woman, and breastfeeding mother, and for sleepwear, nightwear, loungewear, and home wear. WHAT YOU SEE IS WHAT YOU GET: We strive to make our colors as accurate as possible. But please Bear in Mind That Photo May Slightly Different From Actual Item in Terms of Color Due to the Monitor’s Display.